Achieve financial peace of mind with the million-copy #1 New York Times bestseller, now revised and updated for 2018, featuring an entirely new Financial Empowerment Plan and a bonus chapter on investing. The time has never been more right for women to take control of their finances. The lessons, revelations, and shocks of the past few years have made it clear that standing in our truth is the only way to care for ourselves, our families, and our finances. 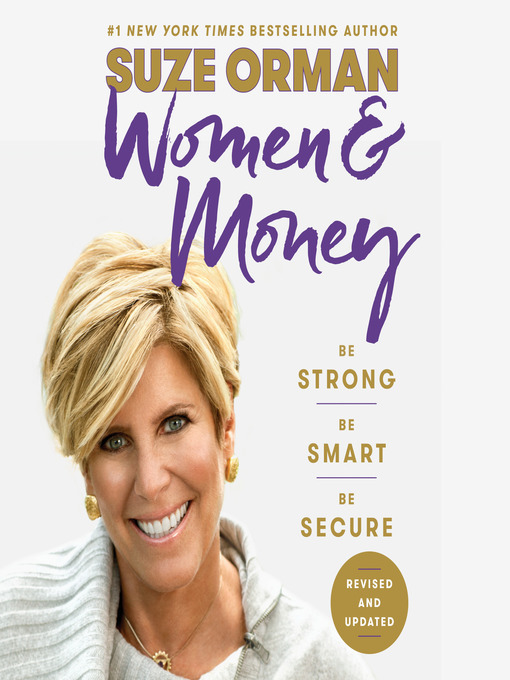 With her signature mix of insight, compassion, and practical advice, Suze equips women with the financial knowledge and emotional awareness to overcome the blocks that have kept them from acting in the best interest of their money—and themselves. Whether you are single or in a committed relationship, a successful professional, a worker struggling to make ends meet, a stay-at-home parent, or a creative soul, Suze offers the possibility of living a life of true wealth, a life in which you own the power to control your destiny. Also included is a bonus chapter on investing—for those who are living by Suze's unbreakable financial ground rules and ready to learn how to invest with confidence. Women & Money speaks to every mother, daughter, grandmother, sister, and wife. It gives listeners the opportunity to tap into Suze's unique spirit, people-first wisdom, and unparalleled appreciation that for women, money itself is not the end goal. It's the means to living a full and meaningful life.